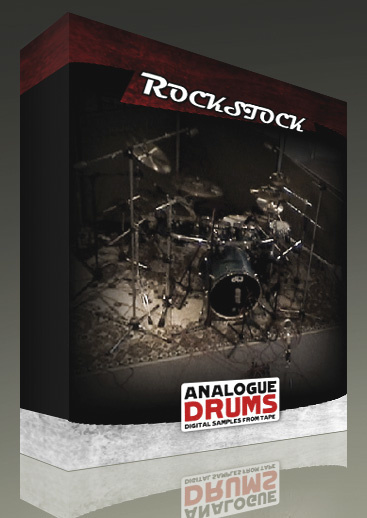 If there's one thing the world isn't short of, it's drum sample libraries, and with huge and expandable instruments from the likes of Toontrack, FXpansion, Slate Digital and Platinum Samples, you might be forgiven for thinking that there was no space in the market for yet another professional offering. But it's always possible to do things a little differently, and with drum samples being short, it doesn't cost that much in hard‑drive real estate to add a few more samples to your arsenal. The most recent collections of acoustic drum libraries — all of which are only available for download — come from www.analoguedrums.com. Recorded in a New Zealand studio, these libraries include recordings of several different kits. Of course, each kit sounds very different, but they all have a few things in common: the excellent quality of the recordings, the ambience of the lovely-sounding live room, and a price that's low enough that you really don't have to think about it. (In the case of the 136MB Big Mono Ludwig kit, that price is zero, so you can easily, 'sample' (sorry) the quality before you buy. They also have in common that all the kits were recorded via a Neve console to tape, before the ultimate conversion to digital samples. This is obviously one of the factors responsible for the 'Analogue' in the company's name. Interestingly, the developers have chosen not to process the files to remove any of the inevitable tape hiss. While some might grumble about that, it's a deliberate choice, because the developers feel that there's nothing wrong with a bit of tape hiss and because they say they can always hear unwanted artifacts when processing to remove the hiss. I think they're right: the hiss is low in level, only ever becoming noticeable for me if over‑compressing, and there are already plenty of ultra‑clean drum libraries around. If it really does concern you, it would be a simple matter to do a batch process to remove the hiss if you wanted to. Having said that, perhaps they could have made both natural and 'cleansed' versions available. There's a good range of kits, including models from Gretsch, Ludwig, Slingerland and others, as well as some beautiful‑sounding cymbals from Sabian and Zildjian. The sounds themselves have been beautifully captured, and the samples, for the most part seem very clean, but for the aforementioned tape hiss. The only other issue was that on a couple of the samples it's possible to detect the back‑swing of the kick pedal, or a knocked cymbal, but we're only talking one or two of several thousand samples here, which isn't a bad hit‑rate! The kits have all been well set up and properly tuned. The kicks in the different kits offer a nice range of sounds, from a delicate pop to a good rocky thump and a looser, jazzier feel. The toms all sound good: full and warm, but with plenty of attack. The snares are great, with plenty of resonance (except for the rim‑shots, of course! ), and there are samples taken with the snare on and off. The cymbals are excellent and really shine in this recording space, and for me they're one of the best features of this library. The number of velocity layers varies from piece to piece, usually being somewhere between eight and 16 variations, and there are left‑ and right‑handed samples of the snares too. There are also plenty of 'special' takes, with rolls, flams and so on, again at different velocities. All in all, that's plenty to create a convincing drum part, and though it might be nice to have a few alternative samples at each velocity, to overcome any machine‑gunning issues (hence the miserly 4.5 out of 5! ), I didn't find this to be a problem in practice. I found it useful to have all the hits available as WAVs, as it meant I was able to create dedicated GOG files for Drumagog (I stumbled across these libraries when searching for some suitable snares for a drum‑replacement job), and you should be able to do the same for other drum‑trigger plug‑ins. If drum replacement — or simply the search for the ultimate snare sound — is your thing, there's also a Snare City bundle you can buy that adds a further 12 snares to any of the other libraries. Rockstock $24.95; Popsticks $19.95; Splitsticks $14.95; Snare City bundle $19.95. Download only.